Using credit cards regularly and responsibly can help build your credit history and improve your credit score. In fact, credit card usage is so important in calculating your credit score that it helps make up 30% of your FICO credit score. The way credit scoring models determine how you use your credit cards is by calculating your credit utilization rate, otherwise known as your credit utilization ratio. The more you know about how credit utilization works and what to do to keep it at a healthy level, the better your chances are of having a great credit score. Simply put, your credit utilization ratio is calculated by dividing how much you owe by the maximum amount you can borrow. It’s determined for each credit card individually, as well as across all of your cards. Card A: $1,000 balance, $2,000 total credit limit; 50% utilization rate. Card B: $3,000 balance, $10,000 total credit limit; 30% utilization rate. Card C: $2,000 balance, $8,000 total credit limit; 25% utilization rate. To get your aggregate utilization rate, you’d add up all three credit card balances and divide them by the total of your credit limits, or $6,000 divided by $20,000 for a rate of 30%. Your credit utilization is an important factor in your FICO credit score because it’s an indicator of how you manage your debt – and your revolving credit – on a regular basis. A low utilization rate shows that you’re using credit but not necessarily relying on it to get by. High credit utilization can send a different signal. “High utilization can be a sign that you're overextended financially and less likely to pay your credit obligations as agreed,” says Michelle Black, credit expert and founder or CreditWriter.com. One thing to keep in mind is that your credit utilization rate is not the same as your debt-to-income ratio. The latter is an equation used to calculate how much of your monthly gross income goes toward all of your debts and isn’t based on balances or just one type of credit. “Credit utilization has a huge influence on credit scores, second only to your payment history itself. If your goal is to earn and keep good credit scores, you have to keep an eye on your credit utilization rates,” Black says. What’s a good credit utilization rate? Financial experts recommend keeping your credit utilization below 30% at all times, and VantageScore, an alternative credit scoring model to FICO, agrees with that suggestion. According to data by Experian, one of the three credit reporting agencies, that’s also the average utilization rate for all Americans. With the FICO score, however, there is no hard-and-fast rule. There is no threshold where if your utilization exceeds it, you’ll see a big drop in your credit score. Instead, FICO recommends keeping your utilization rate as low as possible. Just avoid a 0% rate, if possible, because it could be seen as a sign that you don’t use credit regularly enough. If that’s the case, lenders have less information about the type of borrower you are and may consider it a red flag. How often is my credit utilization calculated? Your credit card company reports information about your account, including your balance, once a month, typically on your statement date. That doesn’t necessarily mean your credit utilization is updated in your credit score once a month, however. Before we get into timing, it’s important to make the distinction between who calculates your credit utilization. The credit bureaus, including Experian, Equifax, and TransUnion, keep your credit history in the form of credit reports, but they don’t do the actual calculation of your credit score, and neither do lenders. Rather, it’s the credit scoring companies like FICO and VantageScore that run the numbers. As a side note, not all credit scoring models necessarily give the same weight to credit utilization. But because most lenders use the FICO score, it’s best to focus on how they consider it. How often your utilization rate is calculated depends on the service you use to check your credit score. Some, for instance, update your credit score with the most recent information once a month, while others may do it every few months or every week. So regardless of when your utilization rate is actually updated with the credit bureaus, you may not see it reflected in your credit score until the service you’re using gets the memo that the information has changed. That said, once the information is updated, you should see your credit score change quickly to the news. “Finding out your statement closing date is easy. Simply check your statement or give your credit card issuer a call,” says Black. Because your credit utilization is calculated for each card and across all of your cards combined, closing a credit card may increase your utilization rate. Card A: $1,000 balance, $2,000 credit limit; 50% utilization rate. Card B: $3,000 balance, $10,000 credit limit; 30% utilization rate. Now, your credit utilization will be 33%, which is a slight increase from the 30% figure in the original scenario. That may not have much of an impact on your credit score. But if closing a card with a high credit limit increases your overall utilization rate by a lot, it could have a negative impact on your score. As a result, it’s typically better to keep old credit card accounts open unless they charge an annual fee, have a security deposit tied to them, or you’re worried about overspending. By sticking the card in a sock drawer and using it every six months or so to keep it active, you can keep your available credit higher and avoid causing a spike in your credit utilization. If you have personal and business credit cards, you may be wondering if how your business uses credit can affect your personal credit score. Unfortunately, the answer is yes in some cases. Among the top credit card issuers, both Capital One and Discover report all of your business credit card activity to the consumer credit bureaus. That may also be the case with some smaller issuers, including community banks and credit unions. Among the other major issuers, however, your business credit card won’t show up on your personal credit report at all unless you’re delinquent on your account. If you have a business credit card from a card issuer that does report your card activity to the personal bureaus, use some of our tips below to keep your utilization rate down or consider getting a different card, so you don’t have to worry about it at all. Whether you’re working on improving your credit or want to maintain your good credit score, here are four things you can do to keep your utilization rate at a reasonable level. If you’re putting all of your purchases on just one credit card every month, the chances of racking up a high balance are greater than if you spread your spending over more than one card. Also, if you have rewards credit cards, this strategy can help you maximize the value you get out of your cards. Just be sure to keep an eye on your aggregate utilization rate to avoid going too high. If you don’t have more than one card, it may not make sense to open another one just for the sake of your credit utilization. Check out the other tips for more options. If your card has a low limit, you may be able to get a credit line increase if your credit has improved since you first got the account. Just keep in mind that asking doesn’t guarantee an increase. Also, some credit cards, particularly those designed for poor credit, may charge a fee to process a credit line increase. If you’re worried about racking up too high of a balance, it may be worth using your credit cards until you reach a utilization rate you feel comfortable with, then switching to cash or debit cards for the rest of the month. If you don’t want to switch back and forth between credit, cash and debit, another option is to time your payments to keep your utilization rate low on the day it gets reported. 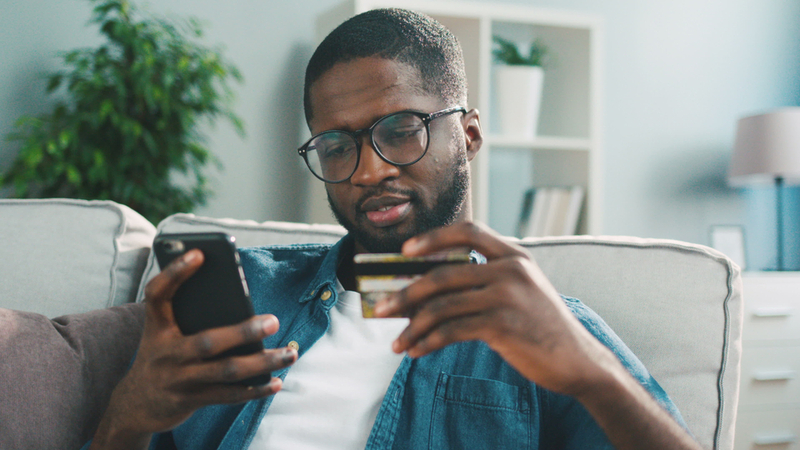 You can do this by making multiple payments throughout the month or finding out when your card issuer reports your account activity and make a payment a day or two beforehand. Your credit utilization is an important factor in your credit score, so it’s important to understand how to manage it well. As you practice good credit habits and maintain a healthy utilization rate, your credit score can improve and stay in a good range over time.